SMD specializes in all aspects of motorsports design. 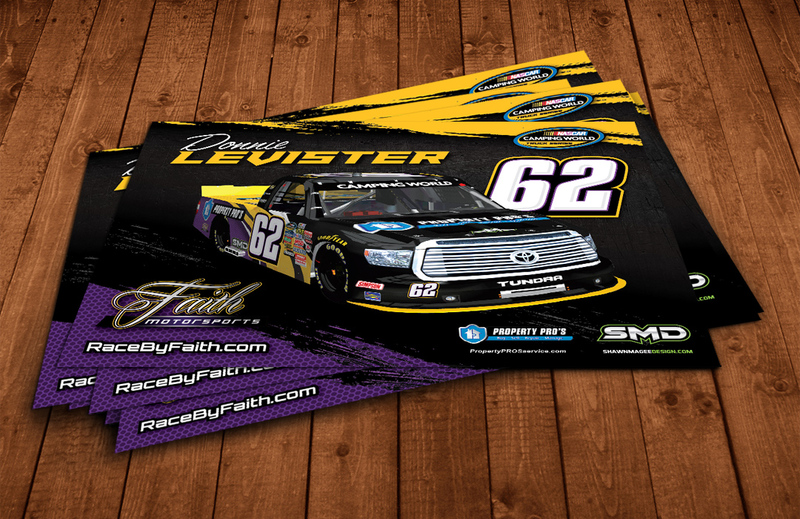 The most recent project to roll out of the studio is a NASCAR hero card design for Faith Motorsports. 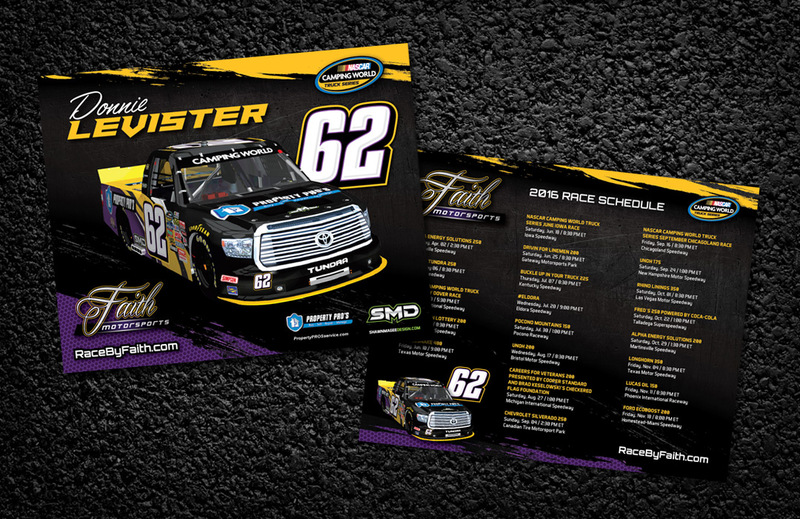 The team is gearing up for their NASCAR debut and needed hero cards to mail to fans and to sign trackside. 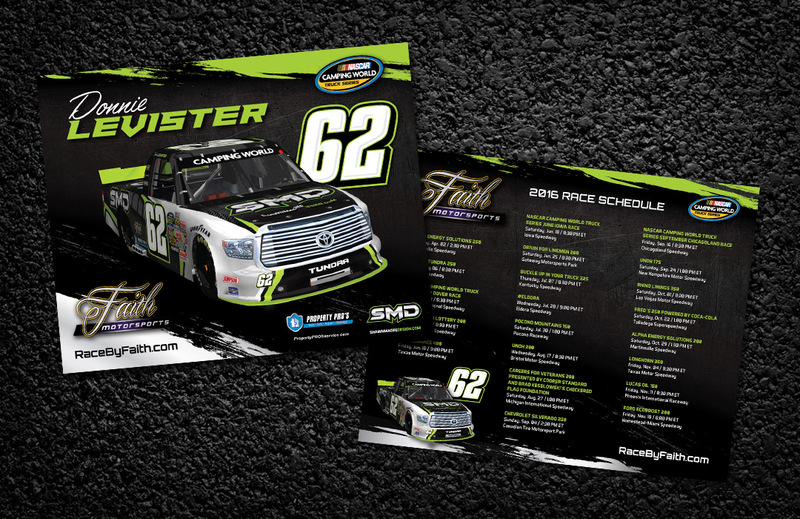 The two primary sponsors for Faith Motorsports, Property Pro’s & SMD, are featured in the hero card designs.